The season of Proms and parties is coming, and with it comes the problem to find the perfect dress to wear, maybe without spend a fortune. PickeDresses is a party and Prom Dresses shop with high level quality and design. And at very affordable rates. I think any of us would like to look elegant, refined and feminine on these special days, not to mention that the perfect dress is a keepsake for years. 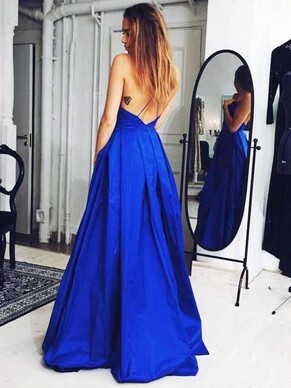 In this shop you can find dresses with detailing that emphasize femininity and add charm, or classier and subtle dresses that definitely will conquer your heart. PickeDresses brings to you the latest collection of chic and classy clothes. They follow the latest fashion trends, bringing over thousands of new selected products: check out the Long Prom Dresses, for ex.! At PickeDresses you can found everything you need to glam up your style. You’ll definitely find the dress of your dream that will make you look and feel like a princess. There I leave you some pictures which I found on their site of the dresses I liked more and I hope you can get inspiration from them. Every dress is made of luxurious fabrics combined with this beautiful details that make them more and more special. Not to mention all the fab bright colors! This is the best occasion to do shopping not so expensive, with items of high quality. So, what are you waiting for? Take a look to all their beautiful products. What do you need more to have the perfect dress for a perfect day? I love this store dear! Beautiful dresses! Blue one is my favorite. Abiti bellissimi, quello grigio mi piace tantissimo! Buon inizio settimana e buon lavoro, carissima Silvia!!! Ma sono meravigliosi......quello blù è un sogno!!!! Amazing dresses, love the second one! Nice dresses especially the third and forth ones.